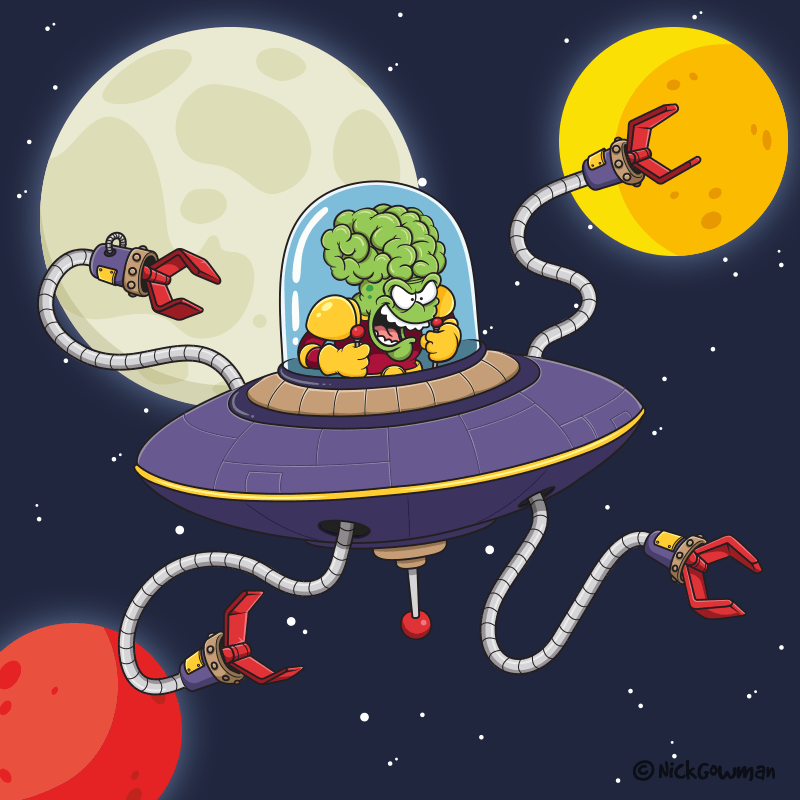 Alien invader | cartoon martian from beyond the stars and poised to attack! With a big, bulgy brain and comical grimaced expression, this alien has his sights firmly set on Earth! I’m not sure if he has a name, but I think I’d call him something like ‘The Might Flurg’ or ‘Grindar the Green’! This ship is clearly just a scout though… imagine what happens when the mothership shows up! I guess whenever you think of aliens, the first thing that springs to mind is a flying saucer. I popped a clear dome on top so you can easily see our alien character. I then added a series of big, grabby tentacle arms (which I felt would look less aggressive than a laser and certainly more fun). To top him off, I’ve added in a series of planets and a starfield. This character would work nicely alongside my Metaluna Mutant that I created previously.